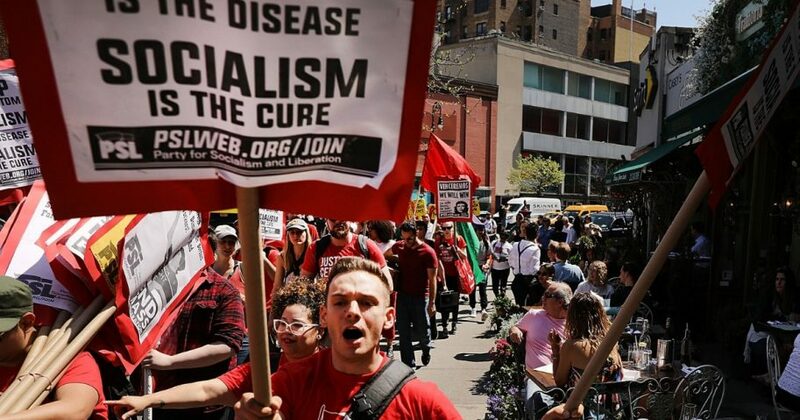 A recent Victims of Communism Memorial Foundation survey found that 51 percent of American millennials would rather live in a socialist or communist country than in a capitalist country. Only 42 percent prefer the latter. Twenty-five percent of millennials who know who Vladimir Lenin was view him favorably. Lenin was the first premier of the Union of Soviet Socialist Republics. Half of millennials have never heard of communist Mao Zedong, who ruled China from 1949 to 1959 and was responsible for the deaths of 45 million Chinese people. The number of people who died at the hands of Josef Stalin may be as high as 62 million. However, almost one-third of millennials think former President George W. Bush is responsible for more killings than Stalin. By the way, Adolf Hitler, head of the National Socialist German Workers’ Party, was responsible for the deaths of about 20 million people. The Nazis come in as a poor third in terms of history’s most prolific mass murderers. According to professor Rudolph Rummel’s research, the 20th century, mankind’s most brutal century, saw 262 million people’s lives destroyed at the hands of their own governments. Young people who weren’t alive during World War II and its Cold War aftermath might be forgiven for not knowing the horrors of socialism. Some of their beliefs represent their having been indoctrinated by their K-12 teachers and college professors. There was such leftist hate for Bush that it’s not out of the question that those 32 percent of millennials were taught by their teachers and professors that Bush murdered more people than Stalin. When the tragedies of socialist regimes — such as those in Venezuela, the USSR, China, Cuba, and many others — are pointed out to America’s leftists, they hold up Sweden as their socialist role model. But they are absolutely wrong about Sweden. Johan Norberg points this out in his documentary “Sweden: Lessons for America?” Americans might be surprised to learn that Sweden’s experiment with socialism was a relatively brief flirtation, lasting about 20 years and ending in disillusionment and reform. Sweden began rolling back government in the early 1990s, recapturing the entrepreneurial spirit that made it a wealthy country to begin with. High taxation and a generous array of government benefits are still around. But now it’s also a nation of school vouchers, free trade, open immigration, light business regulation and no minimum wage laws. School vouchers, light business regulation and no minimum wage laws are practices deeply offensive to America’s leftists. A version of this Op-Ed originally appeared on The Daily Signal.